Update: The roof has collapsed. Heartbroken moment. I wanna go there once in my life. The two towers have been saved, Reuters reports. And some more positive news. 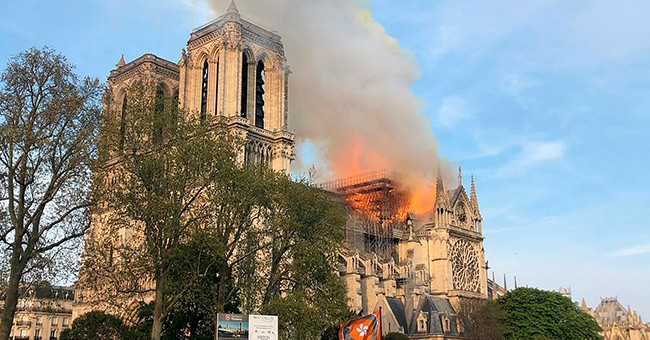 Original Post: A massive fire broke out at the Notre Dame cathedral in Paris on Monday. It has not yet been confirmed what caused the fire but it may be related to recent construction. According to Reuters, the cathedral was undergoing renovations. President Trump tweeted about the incident, saying it was “horrible to watch” and offered some advice. This is a breaking news post and will be updated with additional information.